Certain floor plans may have different amenities depending on when they were updated, what building they are in, etc. To tour our floor plans and see which amenities are available, please call us at (214) 747-1403. Balcony views of downtown and Trinity River redevelopment in select units. 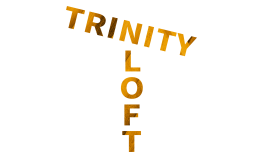 Imagine an amenity-rich retreat with a vibrant urban appeal convenient to downtown, restaurants, cultural sites, and sports venues - that's Trinity Loft! Our apartment homes for rent in Dallas, TX offer an upscale, reasonably priced work-live environment that is perfect for entrepreneurs. Also, we love pets, so your furry friends can feel right at home! Enjoy simple conveniences like our on-site conference room, complete fitness center, fenced-in dog park, and more! Synergy and Dallas’ panoramic skyline await you on our rooftop terrace. Reserve your view today.